Hot Tub or Cool Pool? Now You Have A Choice! The CoolZone™ Cooling System allows owners to decrease spa water temperature during the hottest part of the day, then with remarkable speed and efficiency warm the spa back up as the sun goes down. Ultimately, CoolZone give you more ways to use your Hot Spring spa. On a cool, crisp night, there’s nothing like relaxing in your spa with soothing warm water swirling around you. On a hot and sunny day, a cool, refreshing dip can be just as nice. 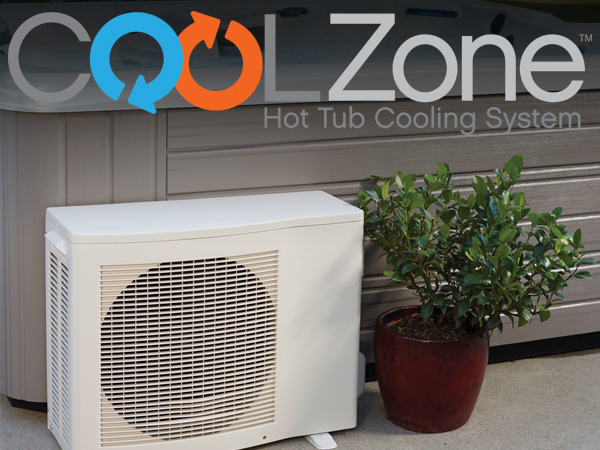 With the CoolZone™ Hot Tub Cooling System, your hot tub can heat and cool the water – something that is not possible with most hot tubs. As a result, you and your family will use your hot tub more often throughout the year. For serious athletes, the option to bring the temperature of the water way down can mean soothing relief for muscles after an intense workout. The possibilities are endless. 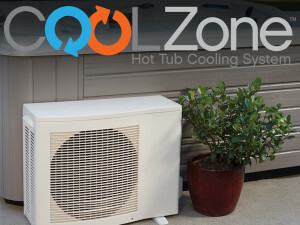 The CoolZone system also helps improve energy efficiency during normal hot tub operation. It can reduce the amount of time the standard No-Fault® heater runs in order to keep the water hot. Depending on the ambient temperature where you live, this increased efficiency has the potential to add up to real savings over time. 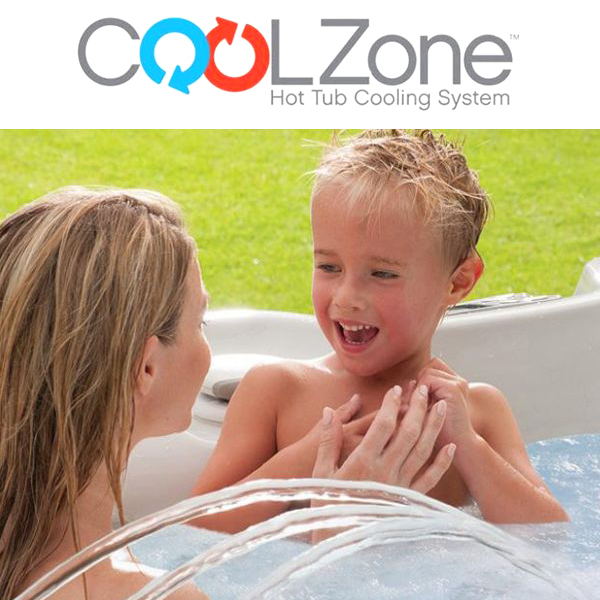 CoolZone provides Hot Spring owners with the best of both world’s – a relaxing, rejuvenating hot tub, and a refreshing, cool pool, heating or cooling spa water within a range of 60°F – 104°F. Available as an option on Hot Spring spas at Olympic Hot Tub. Sanum Per Aqua. As the Romans said it, health through water.